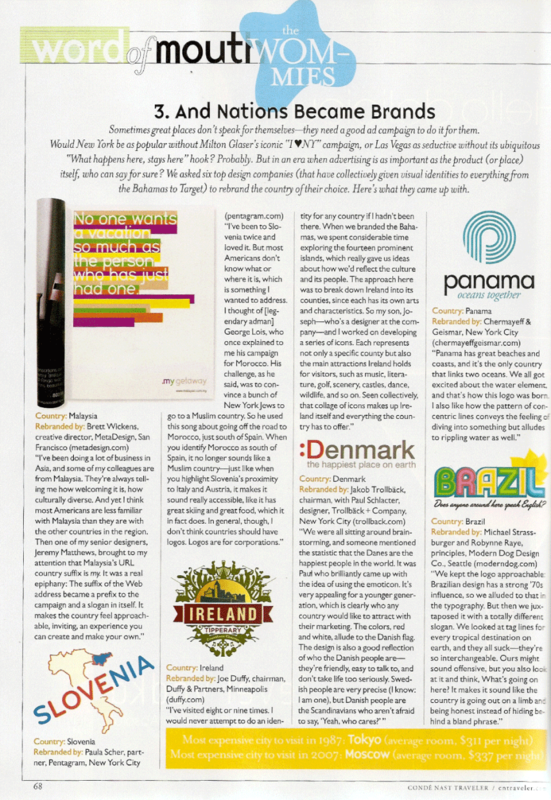 In 2010 Conde Nast Traveler worked with Nutter Media client Chermayeff & Geismar & Haviv to rebrand the nation Panama for a nation-branding editorial. Chermayeff & Geismar & Haviv designed the logo, Nutter Media composed the tagline -- Oceans Together. The logo and tagline were published in the October, 2010 issue of the magazine.